Vinnie Mehta, director-general, ACMA (speaking) and Nirmal K Minda, president, ACMA, at the Indian component industry FY2018 performance review in New Delhi today. 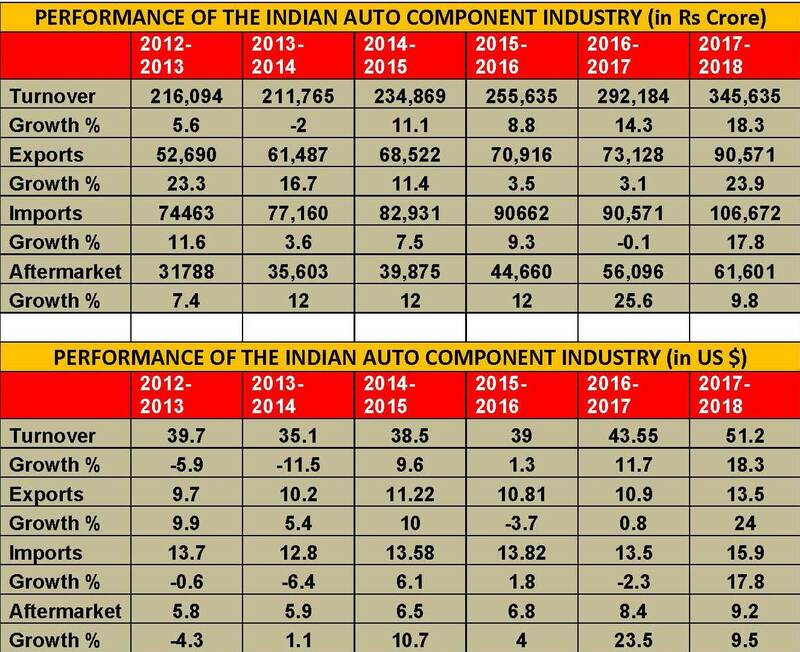 Like the Indian automobile industry, which is firing on all cylinders, the automotive component industry too has announced robust numbers for FY2018. The component industry, which contributes 2.3 percent to India’s GDP and 4 percent to India’s exports, registered revenue of Rs 3.45 lakh crore (US$ 51.2 billion) for FY2018, which marks solid growth of 18.3 percent year on year. In comparison, the Indian automobile industry saw growth of 16.22 percent (including exports) in FY2018. Apex industry body ACMA says the FY2018 numbers represent the supply from the component industry (both ACMA members and non-members), on-road and off-road vehicle manufacturers and the aftermarket in India along with exports. It also includes captive component supplies to OEMs. Exports of the made-in-India components are up significantly by 23.9 percent to Rs 90,571 crore, compared to Rs 73,128 crore in FY2017. Europe accounted for 34 percent of the exports, followed by North America (28%) and Asia (25%). The key export products included drive transmission and steering, engine components, body/chassis, suspension and braking. 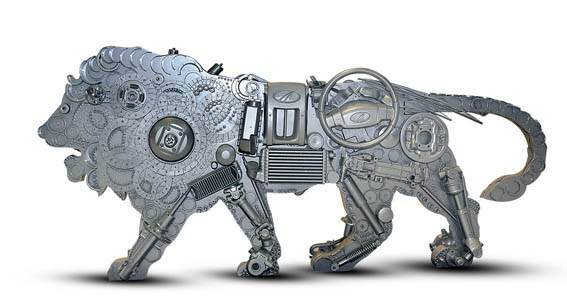 Meanwhile, imports of auto components rose by 17.8 percent to Rs 1,06,672 crore in FY2018 from Rs 90,571 crore in FY2017. While Asia accounted for 60 percent of imported, Europe (30%) and North America (8%) were the next biggest suppliers. As a result of the growing vehicle parc in India, the aftermarket brings grew by 9.8 percent to Rs 61,691 crore (+9.8%) in FY2018 from Rs 56,096 crore in FY2017.